So, we now make our first foray into the world of geology. E studied geology at university and books about rocks still muddy our bookshelves. I keep telling E we should keep them on the mantlepiece, next to the lava lamp, but she is never magmanimous on this matter. So, I was trying to think of how I could make reading a review of a book about rocks a little less schist for you, dear reader, and I have decided to create a little rocks and minerals quiz for you to do! I’ll put the answers right at the bottom, and then you can let me know how you did. Won’t that be fun?! You can also ask any questions you may have about rocks in the comments, and I will do my best to crystallise my knowledge into an answer (or just ask E). Let’s rock on! Now before we begin, because I know how enthusiastic you all get, I’m going to pass on a piece of advice from the first page of the introduction, which I think we should all bear in mind in life, as well as for this quiz, “try not to hammer indiscriminately at every rock you see”. 2. If you are taking a rock sample, what is an appropriate size? 3. Put these geological periods in order, starting with the earliest and ending with the most recent. 4. What are cleavage planes? 6. Gneiss and marble are both…. 7. What does ‘leucocratic’ mean? 9. According to this book, what is a field? That’s the end of the quiz. If you got question 7 right then you will even have beaten E! So, how did you find it? Sedimentary, my dear Watson. 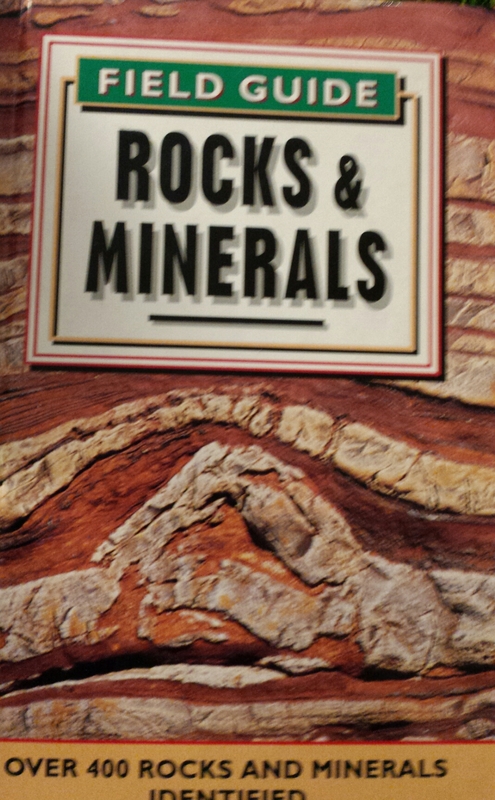 Tags: books, field guide, geology, jurassic, minerals, rocks. Bookmark the permalink. 7/10. Do points mean prizes? Points mean…glory? You are definitely winning the competition so far though! 😆 I refuse to tell you – or anyone – how many I got. And you can’t make me!! Well there will probably be another quiz for the next field guide – maybe we can tempt you to share then! Made me laugh at seven o’clock on a Sunday morning, and that doesn’t happen very often. I’m guessing you didn’t score that high….